As part of my recent redo of my craft area, I knew I wanted some colorful (read pretty to look at) storage boxes to go into the shelves of the new craft table. I also knew that I would get sick of them eventually and wanted to be able to swap them out. This meant two things: they had to be relatively inexpensive and they had to be recyclable. I didn’t want plastic bins because they would just end up in the trash eventually, and that just doesn’t seem environmentally friendly. I looked at some wooden crates too but they were not the right size and were too difficult to redecorate. Then I had a eureka moment, cardboard can be recycled and I already had the boxes! So I drew inspiration from ideas I had seen to make custom gift boxes over the holidays. Instead of wrapping paper, I used fabric scraps I had from old projects. Which also helped reduce the amount of storage space I needed as an added bonus! All you need to do this project is a cardboard box, fabric, a hot glue gun, and some scissors. The principle is the same as if you are wrapping a present; you just tuck the ends into the box instead of around it. In my experience, it is easier to make neat folds if you start on the long sides of the box. I flipped the box so that the edge I was working on was on the table top and facing me (the opening is point sideways no up). 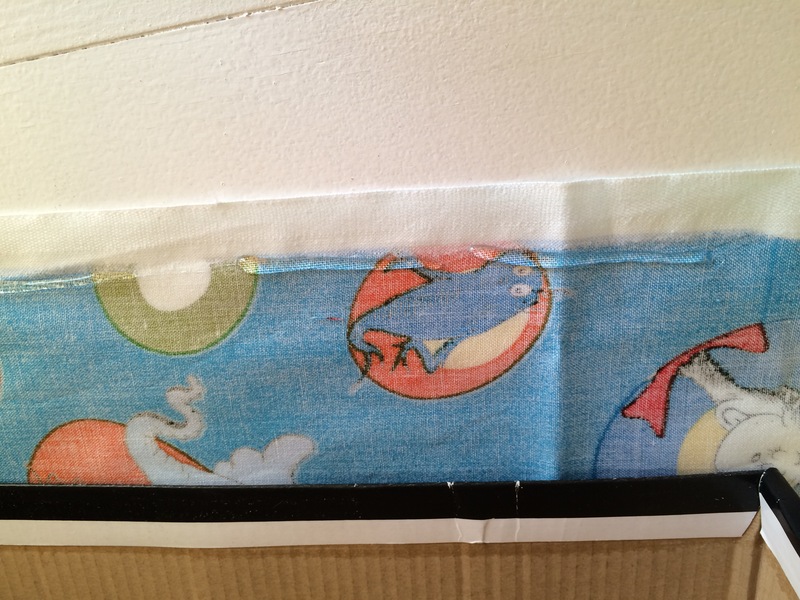 To properly affix the fabric, you want about 1.5-2″ of fabric to fold over the edge and into the box. 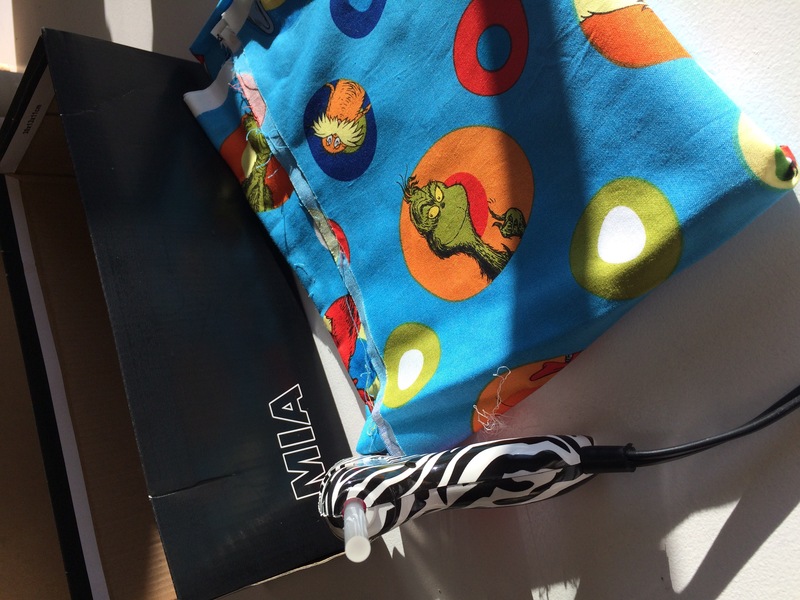 Using the hot glue gun, make a line of glue about one inch into the box and gently press the fabric into the glue, starting from the center and working your way to the edges. There are a few different ways to do the folded (short) edges, see the images below! 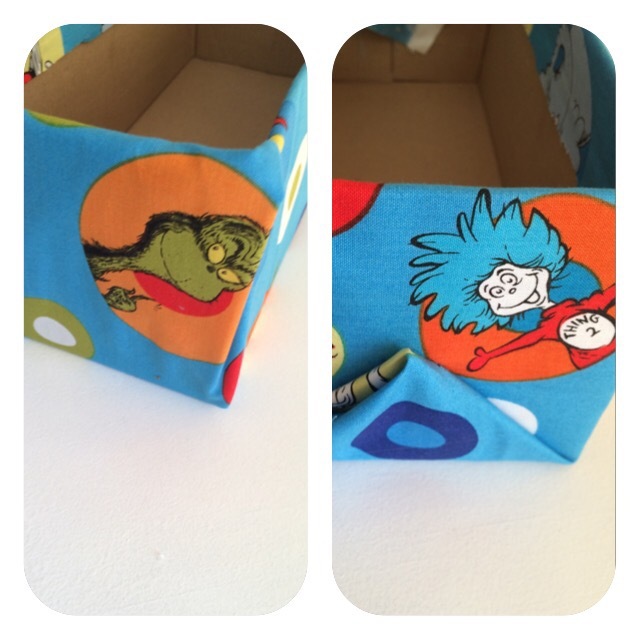 Once you have the fabric folded, the gluing process is the same. Each box took between 15 and 20 minutes and cost me nothing but supplies I already had.